Can I embed YouTube videos on the product page? Yes! 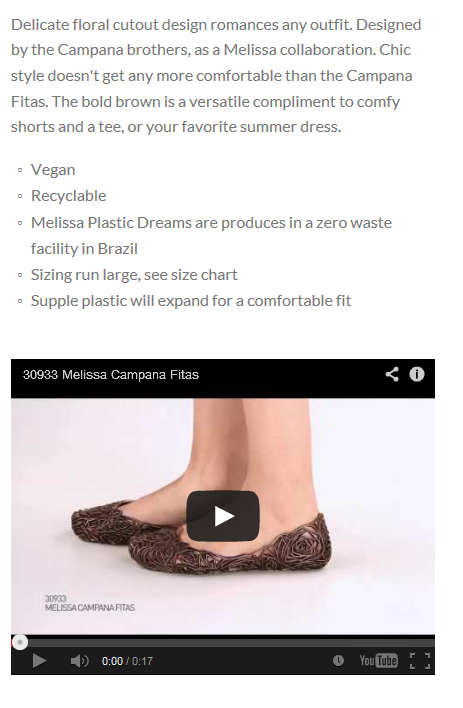 Videos can be embedded in the long description of the product page. Follow the steps below. Find the video on YouTube and grab the embed code. 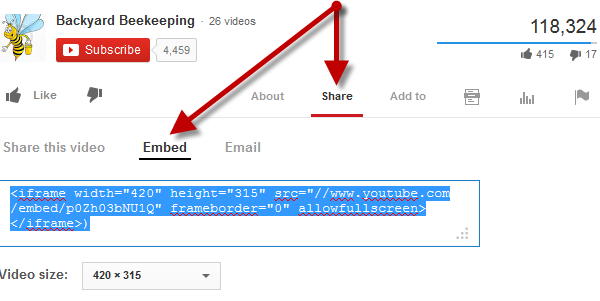 To find the code, click Share then Embed. The Embed code will appear in the window below. Be sure to select the video player size from the drop down. We recommend the default size of 420 x 315. Log into Store Manager and find the product that you'd like to add the video to. Scroll to the Long Description field. Click the Source option in the long description field toolbar. Place your cursor at the end of the all the code/text you see. Click the Source button again. 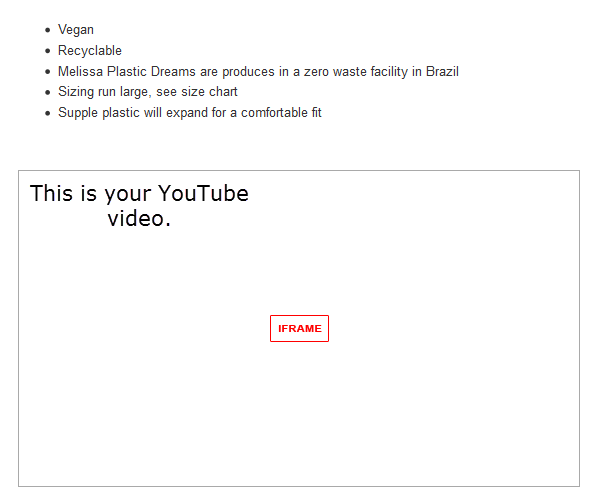 While you won't see the YouTube video in the long description field, you will see a block with the word "iFrame" inside it.